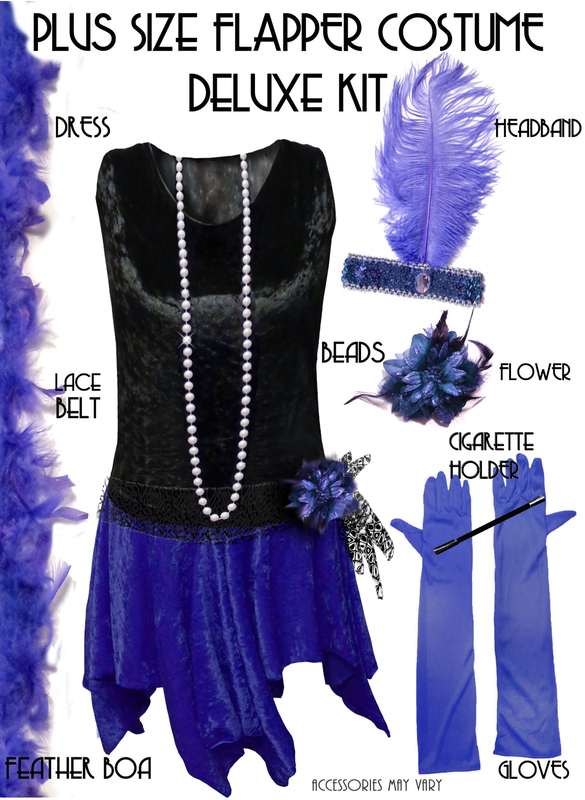 CLICK HERE TO SEE ALL FLAPPER COSTUME COLORS! Planning to be a Plus Size Flapper this Halloween? 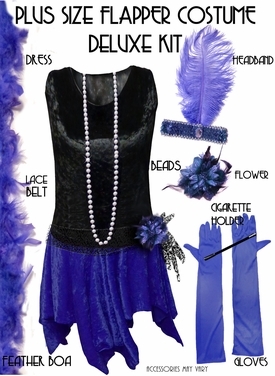 With this Plus Size Flapper costume and accessory set, you'll have everything you'll ever need! Roaring 20's Two-Tone Flapper Dress w/ Lace Belt & Flower! Extra Long Pearl-Like Flapper Beads! Add a Flapper Wig for $9.99! This is a short black flapper wig, great add-on for our roaring 20's plus size flapper costume!